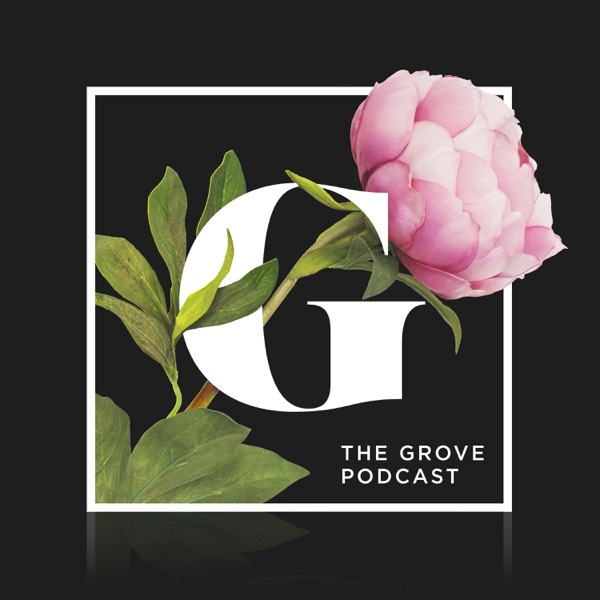 Today on the Grove Podcast, Shelley Giglio sits down with a dear friend of the Grove, Katherine Wolf. On April 21, 2008, Katherine suffered a massive brain stem stroke, which could have left her paralyzed or in a vegetative state; but the Lord had different plans for their family. Although she is still severely disabled, and struggles with many harsh side effects of her stroke and the events that followed, she and her husband Jay and their two boys have learned to thrive in their story. Katherine and Jay recently moved their family cross-country from Los Angeles to Atlanta and are a part of the Passion City church family. In today’s episode, she shares with Shelley how she has come to love her story, how God has healed her heart and given her the ability to “hope while you cope.” They talk about raising boys, the challenges of watching them grow in their understanding of her disability, and even relate to each other as being daughters of dads living with cancer. It’s an honor to have her share with us today, especially in the wake of the 11th anniversary of the day that would mark her life forever. To learn more about their ministry, their book Hope Heals and their Hope Heals family camps, visit HopeHeals.com. Are you a young woman seeking guidance? An experienced woman hoping to share your wisdom with those a few steps behind? A small group leader looking to begin a mentoring program? You’ll love this episode of the Grove Podcast! Today you’ll hear from Shelley Giglio and some other amazing women from Passion City Church as they discuss the scriptural calling to mentorship. They share their own stories of how mentoring has shaped their lives and the real change that can occur when the truth is held up like a mirror by someone who is committed to walking alongside you. They also unpack the new Flourish mentoring curriculum coming out in May of this year that will be available wherever Christian resources are sold! This year-long mentoring journey created in partnership with LifeWay + Passion City Church will help you establish strong relationships between both mentors and mentees as you dig into understanding God’s truth and love through His Word together. Be sure to check out passioncitychurch.com/flourish for more tools on mentoring and starting your own groups. Today on the Grove Podcast, we have our very dear friend Lisa Harper. Lisa is a speaker, an author, and one of the most phenomenal Bible teachers we know; but she is proudest of her title “mama" to her daughter Missy, who she adopted from Haiti in 2014. Today she sits down in a candid chat with Shelley Giglio, as they discuss the pain of singleness, the challenges of motherhood and how she maintains a deep gratitude to the Lord in the midst of it all. To learn more about Lisa, and to access her many books and Bible studies, check out LisaHarper.net. Today’s episode is a powerful talk from our dear friend, Christine Caine. She and her family are extended family to Passion City Church and the Grove and we are always honored to have them in the House. Today, Christine unpacks a passage from John 5 and asks the question, “Do you WANT to be healed?” It will leave you considering what it looks like to get off your proverbial “mat” and walk in true freedom. Today’s message was recorded live at the Grove. Christine Caine is a wife, mother, international speaker and author. She and her husband Nick founded Propel Women, as well as their anti-human trafficking organization, the A21 campaign. To find out more about Christine Caine and her books and other resources, check out christinecaine.com. In today’s episode, Shelley Giglio sits down with Jennie and Levi Lusko to discuss all things family, ministry, and relationships. The Luskos share candidly about how they met and dated, how their family thrives in the midst of their calling to ministry, and the process of grieving the loss of their precious daughter Lenya. They unpack how they learned not to fear grief, but instead be willing to run toward the thing that seems scary and painful; to reduce its power and allow healing to take place. We know you will find so much encouragement from this episode! Check out freshlife.church and levilusko.com to learn more about Jennie and Levi Lusko. Priscilla Shirer joins us on the podcast today! Priscilla is a wife, mother, Bible teacher and New York Times bestselling author. In today’s episode, she gives us a recipe for effective ministry. Whether we are called to a stage, a family, corporate job, or school, we have each been given a ministry assignment. She unpacks what it looks like to be called, to receive everything we need for that calling and then to be sent out into our field prepared. This talk was recorded live at the Grove.